If you have a board game lover on your gift list this year, don’t miss this deal! 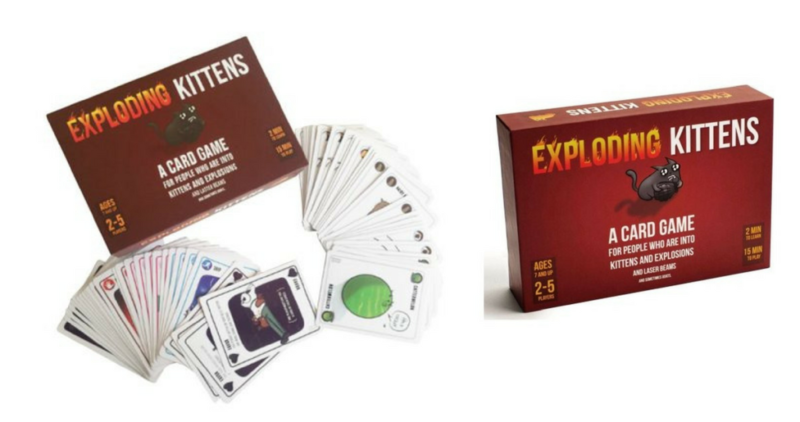 Right now you can score the Exploding Kittens card game for just $10 at Walmart. If you have never heard of this game, it is a family-friendly, party game for 2-5 players and is the most-backed project in Kickstarter history! It regularly sells for $20 – $30. Shipping is free at Walmart and $5.99 at Overstock.